Practical Quality Assurance System for Small Organisations (PQASSO) is a quality assurance system that helps management to run an organisation effectively and efficiently. Created by and for the voluntary sector, it asks organisations to take a systematic look at what they do and to decide exactly where improvements are needed. It seeks to assist managers to plan, budget and allocate necessary resources for making these improvements over a realistic period. is now in its third edition. It provides a step-by-step approach to working out what an organisation is doing well and what could be improved. Designed as a work pack, it is simple and straightforward to use. It offers a flexible approach to quality enabling an organisation to work at its own pace without consultancy fees. It aims to help organisations to set priorities for the future to improve their performance. Charities Evaluation Services (CES) has also designed a CD-ROM to complement the work pack and make the self-assessment process more manageable. It has many useful features that save time and create more efficient ways of working. PQASSO covers 12 quality standards and promotes continuous improvement through self assessment. PQASSO 3rd edition has a more marked outcomes focus, and the results quality area requires evidence about social, economic and environmental outcomes and impacts as well as financial and fundraising results and user satisfaction. PQASSO offers a staged approach to implementing quality through three levels of achievement. Very small or newly formed organisations may decide to work towards achieving Level 1 only. After achieving Level 1, more established or complex organisations may decide to progress to Level 2 and then to Level 3. Each level offers guidance on what is required to run a healthy, efficient and effective organisation. The benefits of working with PQASSO rely on everyone involved being committed to making the necessary changes. A part of gaining that commitment involves stakeholders understanding the benefits for their organisations. PQASSO can be used for a single project or as a self-assessment tool for understanding the quality of the whole organisation. PQASSO can be used flexibly and incorporated into the organisation’s management processes. PQASSO can identify areas for improvement and motivate people to make visible progress. It can demonstrate accountability through use of a well-recognised quality system. It is recognised by funders. PQASSO seeks to improve communication among staff, volunteers and trustees and gives the organisation an improved ability to involve service users. It seeks to embed management systems that support efficient working, more effective planning, and more effective monitoring and evaluation systems. The PQASSO Quality Mark will provide external verification and an independent stamp of approval for both prospective staff and potential customers and other stakeholders. PQASSO is a generic management tool and some organisations may find it necessary to use additional standards that relate specifically to delivery of their services. Organisations with no paid staff may find PQASSO demanding to implement without adjusting it. As it is a generic tool for the voluntary sector, some social enterprises may find PQASSO not as strong on specific areas of their work, e.g., income generation. PQASSO was designed for small and medium-sized organisations and projects but can be used by voluntary and community organisations of all sizes, in all stages of development in the voluntary sector both in the UK and internationally. Over 13,000 copies of the work pack have been sold. The implementation of PQASSO will need to be supported by senior management and trustees, who need to be visibly committed to the process. The process would also benefit from someone to drive the process forward – a ‘quality champion’. Honesty, a commitment to quality, and a desire to improve are the attributes required in a group wanting to implement PQASSO. Aside from some knowledge and skills relating to the 12 individual quality areas being present in the organisation, no additional specialist skills are required for self-assessment (the assessment will also identify where skills or information are needed). Implementing a quality assurance system does require staff time and resources, particularly at the outset. Time will be required for self-assessment, action planning and implementing improvement actions as a result of these activities, but this can be done flexibly and over a period of time. CES can help organisations to implement PQASSO through training, mentoring, consultancy, seminars and conferences. 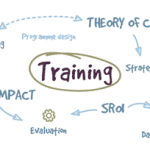 CES offers a range of training courses designed to support organisations to implement PQASSO. All CES courses can be run at a venue of the organisation’s choice or participants may attend CES’s subsidised training in London. CES also coordinates a licensed PQASSO Mentor scheme which enables them to enhance the quality of support available in the voluntary and community sector to organisations that have chosen to implement PQASSO. Details of the licensed PQASSO Mentor training programme and contact details of licensed Mentors are available from CES. Free telephone advice and support is also available from CES. CES have also produced brief guides on PQASSO designed to provide a detailed overview of the process for community and voluntary organisations, as well as for commissioners and funders. A more detailed publication, PQASSO in Practice, provides more detailed guidance on implementing PQASSO. PQASSO is produced by NCVO Charities Evaluation Services. Click here to find out more.